Classical solution – black & white set is always in trend. 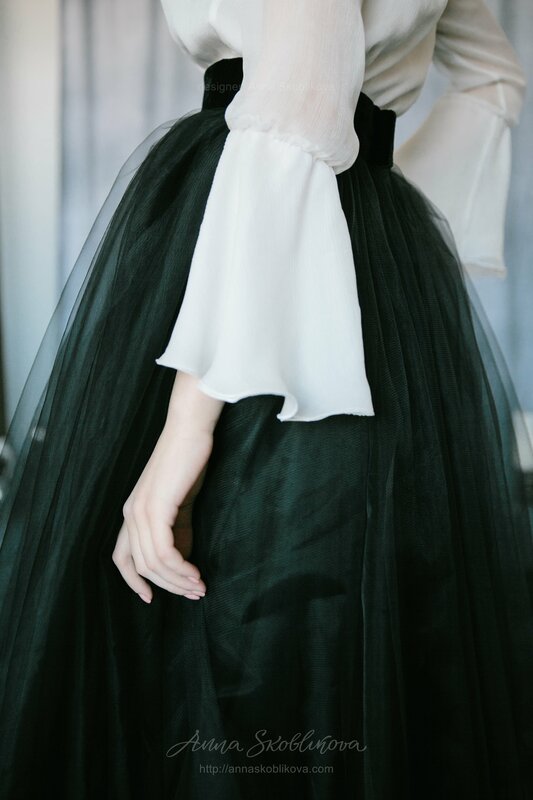 Puffy tulle mid skirt with black velvet belt. 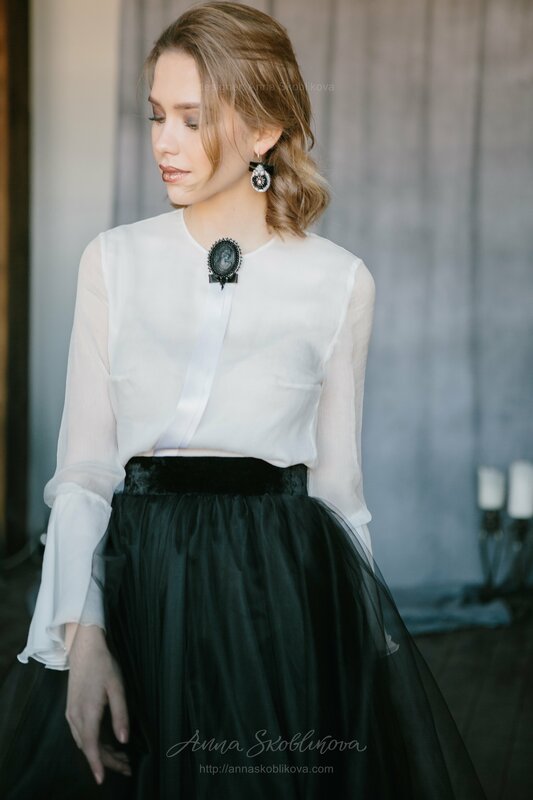 Blouse made from natural fabrics features double-layered shelf and sleeves with special bell cuffs. Brooch for the blouse is an additional accessory, which you can order by contacting us.